If you’re looking for a new adventure with food, that extends beyond the traditional Mexican tapas you find in your out of town shopping village, it’s time to get Eastern with your flavours! Vietnam is a country that isn’t just beautiful to look at, it’s food is delicious and fragrant. But if you are unsure where to begin, let’s have a look at some of the most traditional Vietnamese delicacies. But for the traditional sit down experience, with the herbs native to Vietnam, such as Vietnamese coriander and sawtooth herb, you’ve got to go there yourself. gives you the opportunity to explore the rice paddies of Vietnam up close and personal so you can witness the work that goes into creating this essential component. This is particularly popular throughout Saigon, but when you’re looking for a dish that contains the staple ingredient, this is one of the best. Mix it up with some minced pork, as well as mushrooms and shrimp, and you’ve got a beautiful item of food. This is one for the nasally strong, as it’s got quite a whiffy smell, but it’s a fantastic Vietnamese noodle dish that has to be experienced. This dark colored soup is prepared with fermented fish sauce, as well as rice vermicelli noodles, and meats like prawns, pork, and squid are all piled on top. If you’re looking for a dish that is partially sweet as well as savory, this dish, usually sweetened with sugar and tamarind juice, ticks all the boxes. This is quite a mixture of cultures. 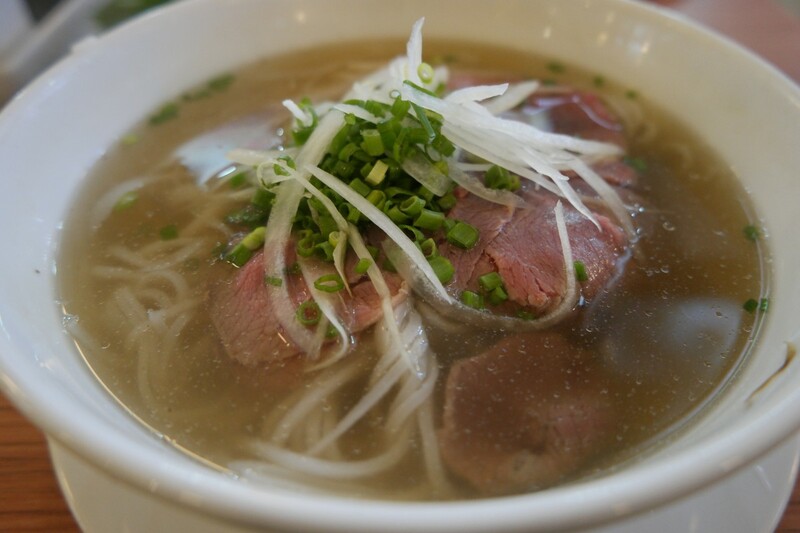 While with thick noodles are similar in texture to the Japanese udon noodle, the pork brings an element of China to the dish, but the broth is distinctly Vietnamese. You can only find this dish in the town of Hoi An, where the authentic dish is made with water from the well in Ba Le. It’s not all about broth and noodles, this Vietnamese pancake is a quaint little addition to any menu. Crunchy in texture, the spring onions, mung beans, and shrimp filling contrasts well with the coconut milk exterior. You won’t have maple syrup on your pancakes ever again after you’ve tried these little delicacies! And yes, there are sweet dishes to consume! This egg coffee is classed as a drink, but it’s so soft and meringue-like, this beautiful drink satisfies any sweet treats, but is a wonderful alternative to the typical cup of coffee, especially for those that don’t drink the caffeinated beverage. 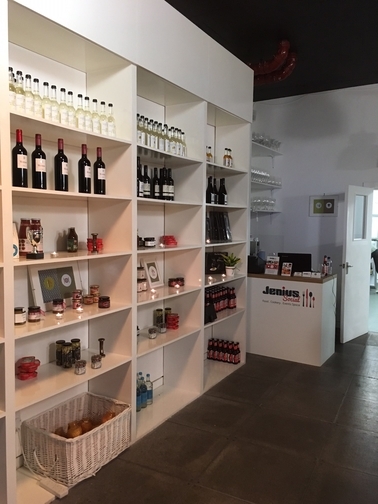 Jenius Social is a dynamic events space situated at a walking distance from Holloway Road and Highbury & Islington. The founder, Jennifer Yong, came up with the concept by fusing two of her favourite things: food and socialising. Reading this, we knew this would be our kind of place. Andrew Clements, head chef at Jenius Social, lead the class. 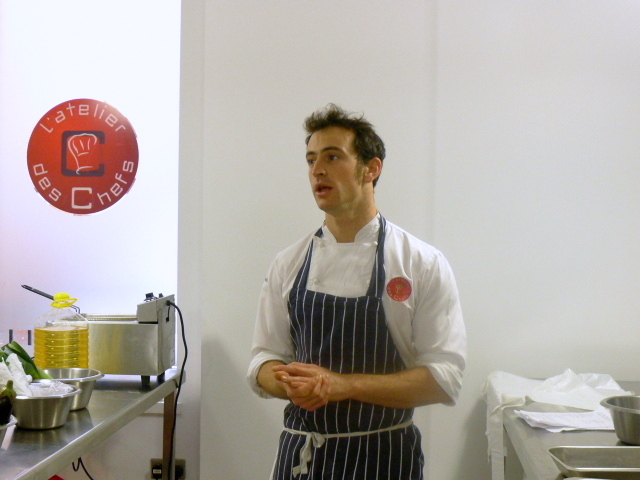 An original graduate of Jamie Oliver’s Fifteen restaurant, he was charismatic and knowledgeable. The conversation flowed easily throughout the evening, from learning about his career to date, to picking up a few knife skills in between recipes. 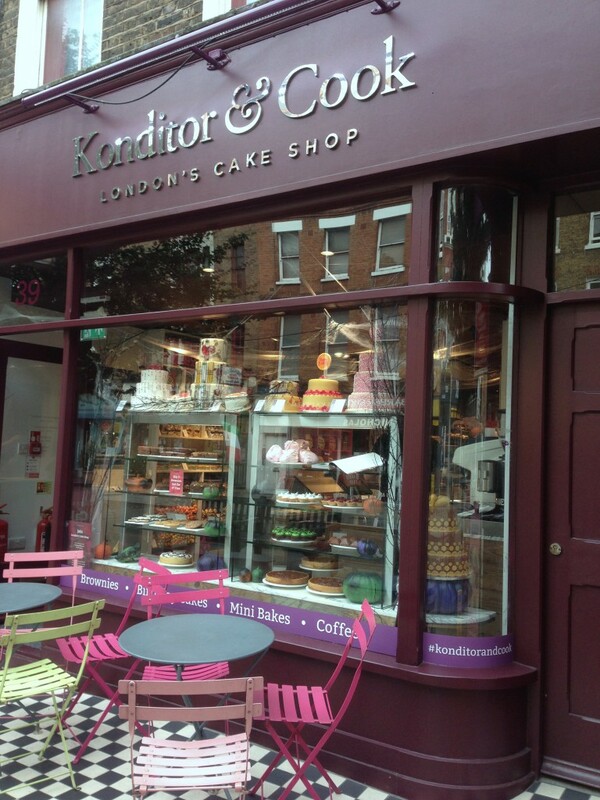 Konditor and Cook, the boutique bakery, is best known for its brownies and its Curly Whirly cake, a decadent chocolate cake with a vanilla mascarpone icing. The Konditor & Cook chocolate cake has always been one of the biggest sellers for the bakery, and the story goes, when Mrs Simon of Sloane Square requested a vanilla filling instead of the customary ganache one Thanksgiving, the Curly Whirly was born. In addition to the delectable delights that you can buy from the six Konditor & Cook stores throughout London, Konditor & Cook also run a cake school and I couldn’t resist the opportunity to try the Curly Whirly Experience one Saturday afternoon, a baking class where we learned to make the Curly Whirly Cake with a Vanilla mascarpone frosting and some Curly Whirly Brownies with Cream Cheese Swirl. 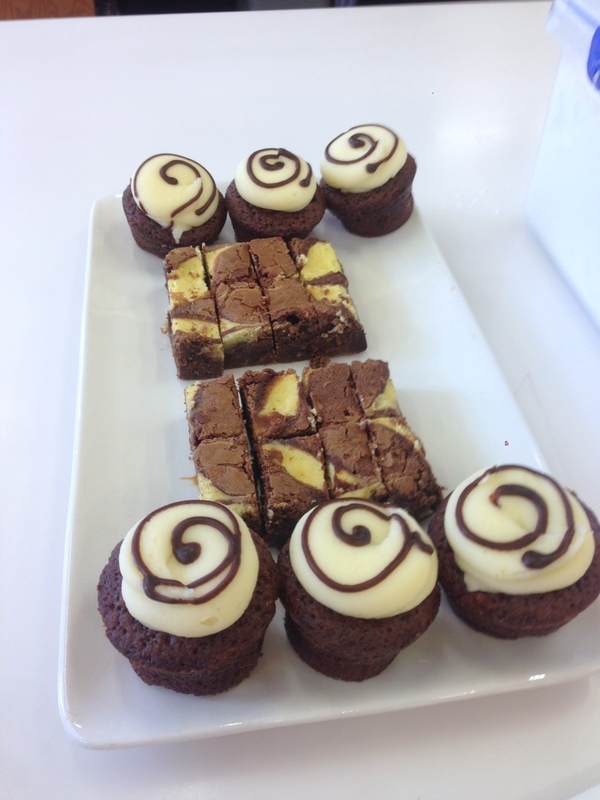 Konditor & Cook have long been tantalising London taste buds with their delectable range of chocolate brownies and their ‘to-die-for cakes’ including their famous Curly Whirly cake, a dark chocolate cake decorated with a cream cheese frosting. And ahead of Halloween, Konditor & Cook have launched their ‘oh-so-scary’ Spooktacular range of delicious treats including a Haunted Gingerbread House, a selection of Magic cakes and a Trick or Treat Box with a range of mini bakes. 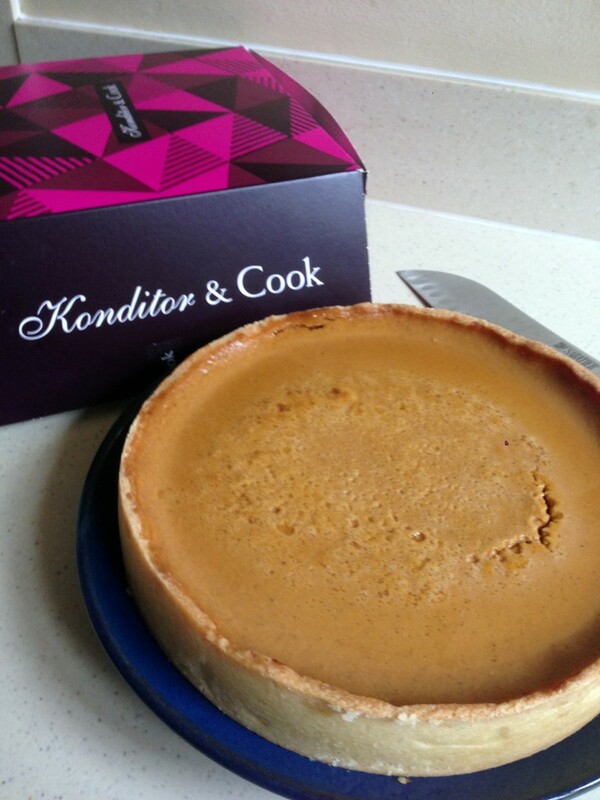 Konditor & Cook sent me three of their cakes and pies to try, and I must confess to being totally blown away by the pumpkin pie (£22). The filling had a gentle flavour of pumpkin, was nicely spiced and was not too sweet. It also had an excellent texture, one that was smooth and creamy. The sweet pastry base was a little soft, but the filling was so spectacular that it more than made up for pastry. The Pure Package, London’s award-winning gourmet dietary food delivery service joined forces last year with Leiths School of Food and Wine last year to launch Nutrition in Practice: The Professional Chefs’ Accreditation. The Nutrition in Practice focused on nutrition and dietary theory and practice and proved to be hugely successful. So this year the course is back, and is now being rolled out to students from a wider range of culinary backgrounds, from amateur cooks to professional chefs. The Pure Package has long been established as a leading healthy dining option for Londoners, especially those who are time poor. The meals offered by Pure Package are based on the principles of the ‘perfectly balanced diet’. Each day’s delivery includes three meals and two snacks, all of which are designed to ensure that the diner receives the correct balance of proteins, carbohydrates and essential fats. The Pure Package has a solid celebrity fan base, and includes stars such as Hugh Jackman and Lily Cole. 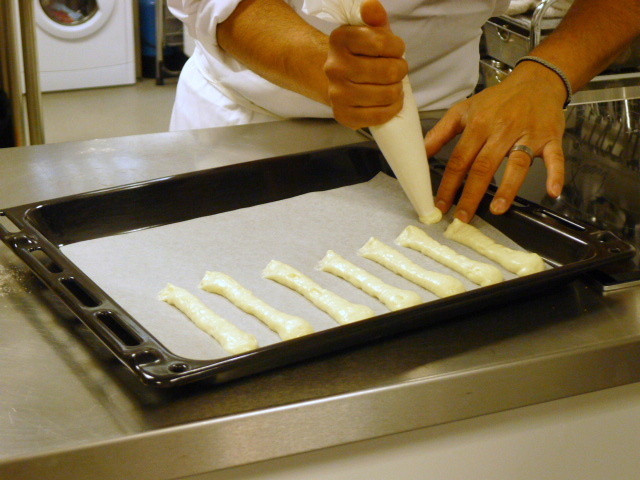 Leiths School of Food and Wine, founded by Prue Leith, has long garnered an international reputation for being one of the leading cookery schools in the UK for both amateurs and professionals, and its alumni includes notable names such Lorraine Pascale and Matt Tebbutt. The Nutrition in Practice Programme will therefore by taught by the culinary teachers at Leiths in partnership with nutritional experts from The Pure Package. The programme will offer a comprehensive understanding of the nutritional make up and effect of food, and will be presented in informative discussions and hands-on cooking sessions. The course is fully accredited and is certified by the Nutritional Therapy Education Commission. 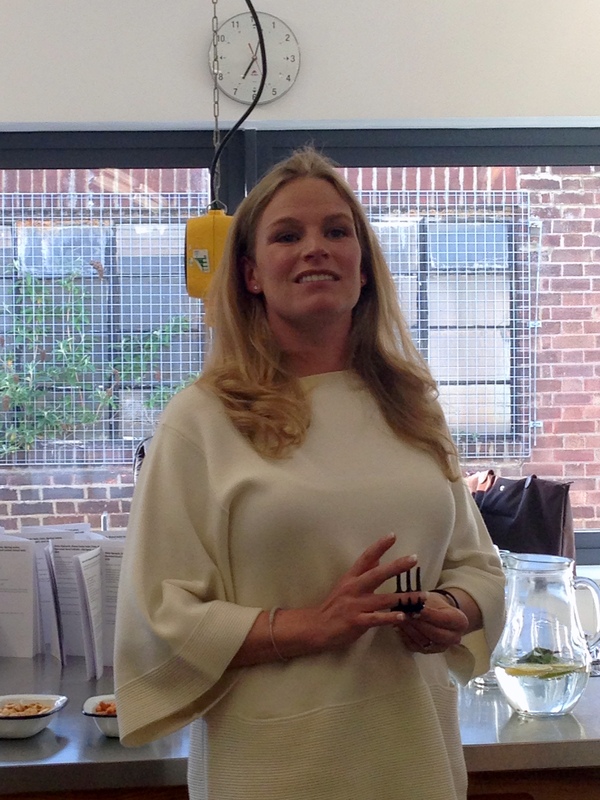 I was invited to a preview evening of Nutrition in Practice: The Accreditation hosted by Jennifer Irvine, the founder of Pure Package, and Camilla Schneideman, the Managing Director of Leiths. The evening opened with a very informative talk by Jennifer on the details on the programme which will cover topics such as portion control; managing food allergies and intolerances; the importance of blood sugar regulation in weight management and complex carbohydrates. 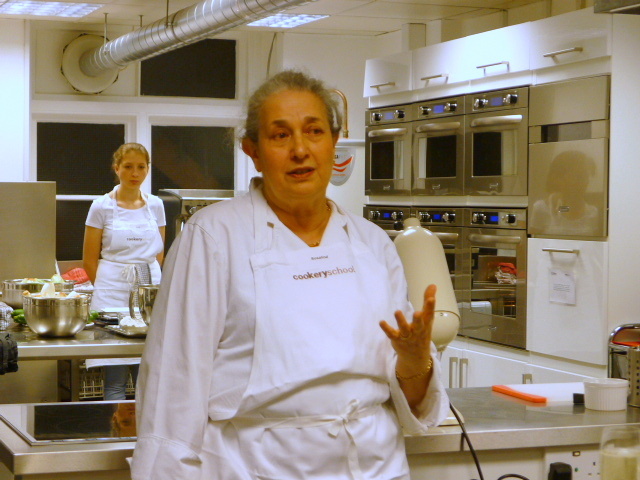 I went to a cooking social at Cookery School last Thursday hosted by its founder Rosalind Rathouse. Cookery School opened ten years ago and aims to bring cooking to a wider audience by demystifying and simplifying some classic home cooking techniques. What’s more, and this is the piece I admired the most about Cookery School, is that it focuses on sustainability. Over 75% of the ingredients used at Cookery School are both organic and sourced locally, all food waste is recycled and Cookery School also has a ‘no plastics’ policy. Therefore, not only does Cookery School not use any plastic, it also chooses supplies that are delivered in glass or tins. It is for this reason that Cookery School was awarded a Three Star Rating – the highest possible – from the Sustainability Restaurant Association (SRA) for the last two years running. Experiencedays.co.uk has a wide array of ‘experience days’ to suit every guilty pleasure, ranging from spa pampering temptations to a tonne of adventure experiences. There are airborne exploits such as skydiving and flying lessons, thrills such as track days and off-road stunts, and a wide array of water sports – all of which are available in a variety of locations throughout the UK. And it was through the Experiencedays.co.uk website that I stumbled upon something closer to my heart, The School of Wok which offers a gourmet day out. More specifically The School of Wok is a Chinese Cookery school based in Covent Garden specialising in Oriental seafood and fish cookery courses. The school is unique as it is one of only a handful of Chinese cookery days in the UK. Founded by Jeremy Pang, The School of Wok has officially been in operation for about a year, but prior to that Pang use to teach cookery courses from home. The course was priced at £95 and the session began with some basic knife skills with a Chinese cleaver led by our instructor Stefan. We chopped our way through a spectrum of vegetables that formed the mise en place for our meal. 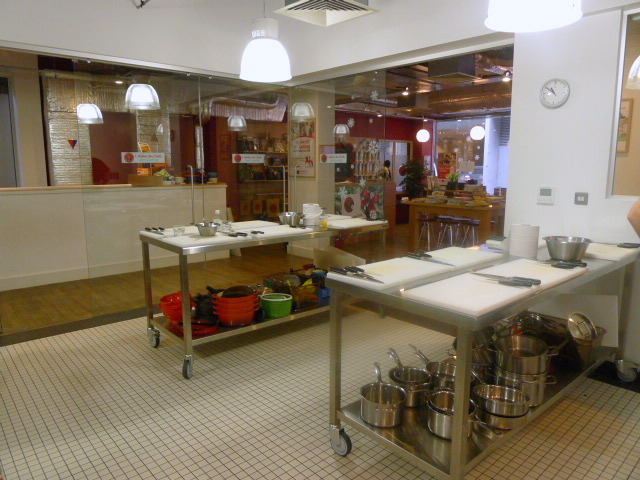 Cookery school L’atelier des Chefs run an impressive range of cookery classes including French classics, macaroon making, bread baking and knife skills, to name but a few. 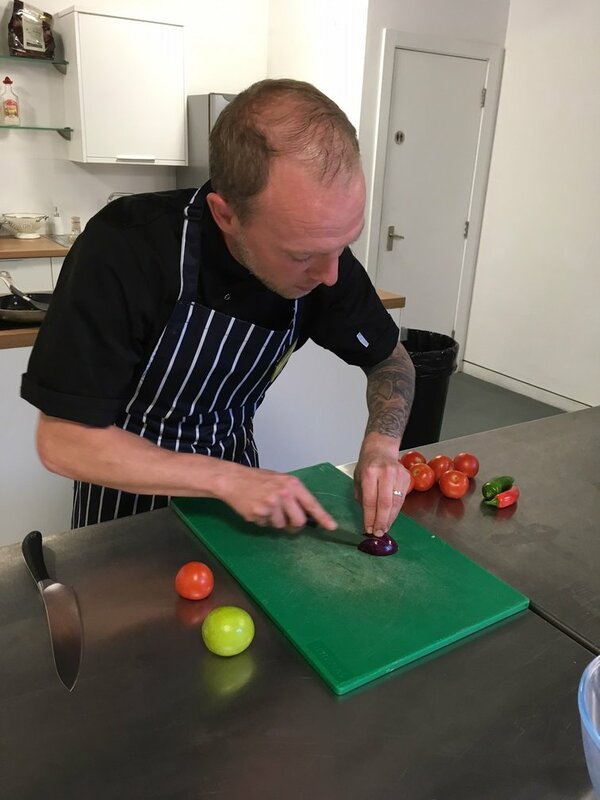 You can also choose by length of class starting from the “Cook, Eat and Run” classes (starting from £15 for 30 minutes) to masterclasses that last for several hours and cost up to £144. The school operates out of two locations, Oxford Circus and St Paul’s, and it was to the latter that I headed to for the Spanish masterclass (£144). Head Chef was Neil Matthews who comes with an impressive CV, having worked at one-Michelin starred The Castle Hotel, two-Michelin starred Gidleigh Park with Michael Caines and Roux’s three-Michelin starred Waterside Inn. Neil also did a stint at the River Cottage organic farm with Hugh Fearnley-Whittingstall before joining L’atelier des Chefs at the beginning of 2012.